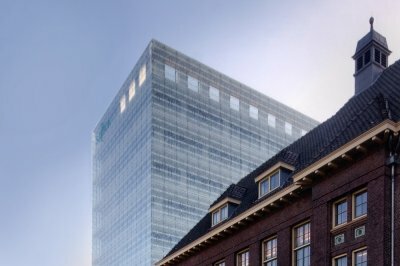 To anchor the lively student atmosphere into the city, Saxion University has deliberately chosen for the presence of all educational buildings near the centre of Enschede in its policy City campus. To complete this campus, one final building still needed to be created. 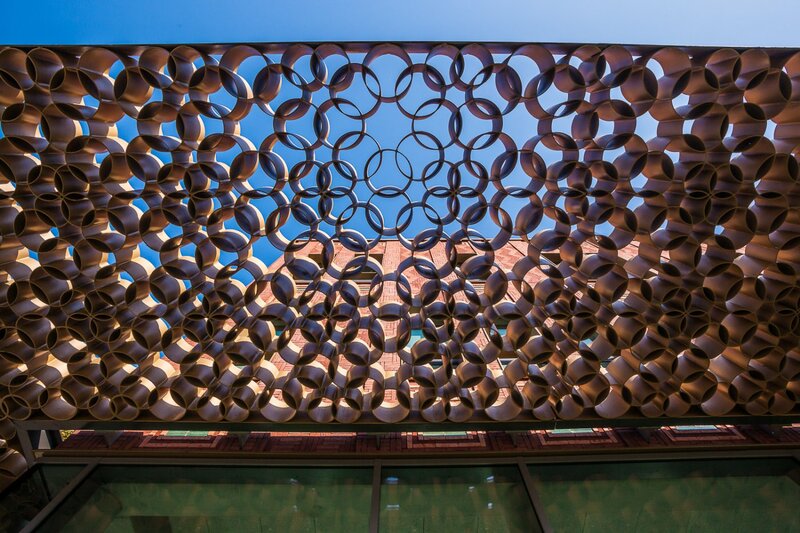 The assignment was to design the most flexible building possible that fits in a monumental environment and can make the connection between the different education venues, within a limited construction budget. The restoration and integration of an existing monumental villa was part of the assignment. 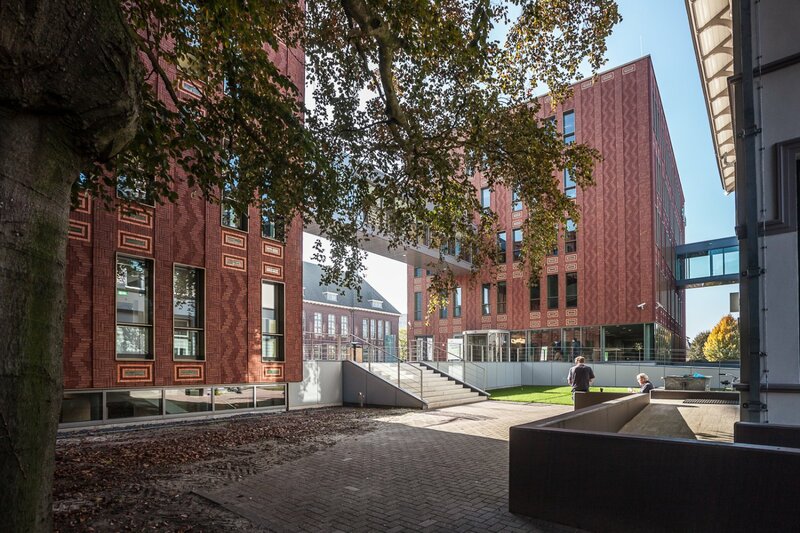 At groun level, the new building consists of four separate and completely flexibly changeable volumes which, because of the dimensions and design, form an adhesive ensemble with the restored villa and the surrounding buildings. Air bridges and a common basement connect the various components of the complex. By placing the basement slightly raised, daylight can enter everywhere. 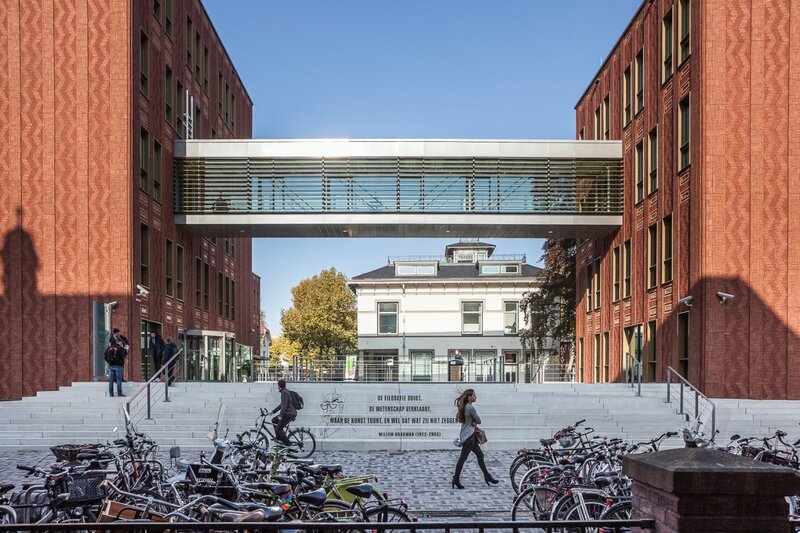 Newly designed walkways and outdoor spaces connect with the other educational buildings of Saxion University and mingle with the liveliness of the city. 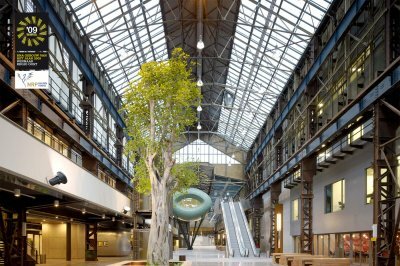 In the most prominent corner of one of the buildings, a window as high as the entire floor is placed, through which passersby can see into the laboratories of the Living Technology of Saxion from the street. 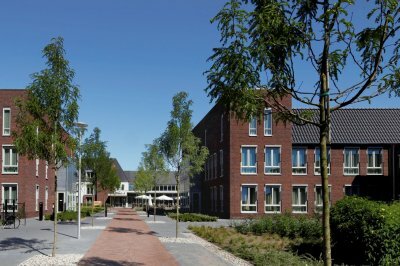 Conversely, the university can showcase itself to the outside world. During the construction process we have constantly sought for innovative solutions with external parties to cut costs and stay within budget. 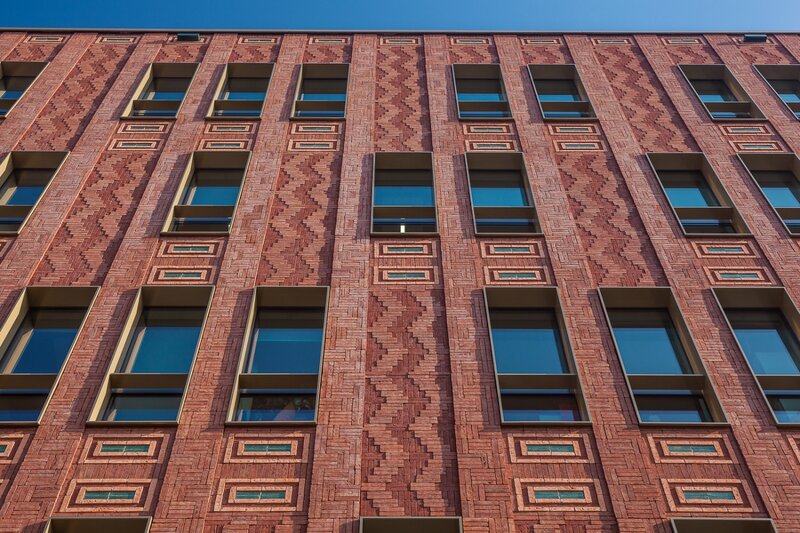 An example is the use of prefabricated brick-facade elements which allow for appropriate and rich masonry details, resulting in less use of material, and a shorter construction time.